Not in too many Indian towns would you find residents engaging themselves in the ritual cleaning of their surroundings every morning for more than a decade. A small town of Biate in the eastern part of Mizoram is but an exception as cleaning their houses and surroundings every morning is a way of life lived by senior citizens and children alike. 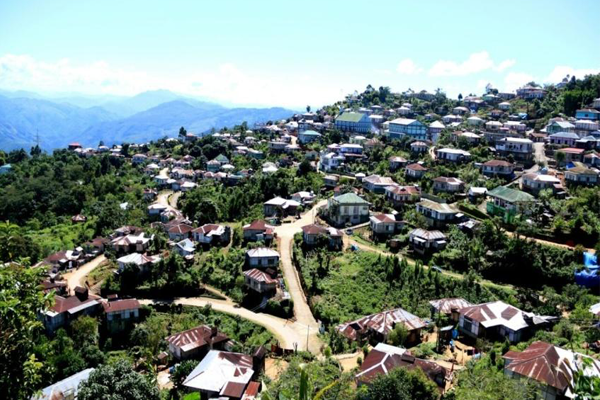 With roughly a population of over 2,000, Biate takes a sense of pride to be one of the first open defecation free towns and also placed itself as the cleanest town in the whole of Mizoram. Biate began its cleanliness drive for over a decade before the Prime Minister Narendra Modi launched the Swachh Bharat Mission in 2014. In the year 1956, the Mizo Children’s Association (MCA) was formed in Biate, which took the initiative of cleanliness drive. 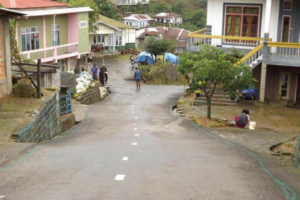 Once a week, members of the association would make use of their time to clean the streets. However, the 20 years of insurgency in Mizoram posed an obstacle for the smooth sailing of the cleaning activity in the town. The year 2003 was a notable year as YMA Chhang, the children wing of the largest voluntary organisation of the Mizos Young Mizo Association (YMA) was formed. There was no looking back ever since. “What we started back then had led us to where we are today. It was not an overnight miracle; it required a lot of time, cooperation and patience,” said R Laremkunga, President of the YMA Biate Branch. The local leaders of Biate town began sensitising the people to adopt a holistic approach for improvement in the field of hygiene, sanitation, protection of environment and overall development acceleration. Unlike many other places in the Northeast, the prevalence of common tropical disease –malaria- has not been found or detected among the Biate residents since 2012. This feat is primarily attributed to their advancement in cleanliness and sanitation. The main contributor in this aspect, the Biate Community Health Centre was, in fact, declared the cleanest health centre in the State of Mizoram. The strong sense of community participation ignites in the hearts of the residents the willingness to step forth and contribute to the development and progress of the town. Resources were, hence, pulled together. Garbage trucks were deployed to reach every corner and every pocket in the locality so that a high standard of cleanliness could be maintained. Better internal road connectivity was made a priority, resources contributed by the village council and residents were put to good use; many families donated their lands for public use so that better and wider roads could be constructed. It is remarkable to note that all along the length and breadth of the town, however small or narrow the roads might be, proper side are put in place, which help in preventing the road from being made dirty. While it is difficult to have a proper waste management system even in cities, the local leaders of this small town has already been running a more systematised approach, setting an example for all. The cleanliness model of Biate has evolved around community participation. Every resident is keen on having some involvement towards sanitation and cleanliness. There is a strong sense of ownership in the whole state of affairs, and this may have been due to the cleanliness awareness campaigns organised by the local leaders. Door to door campaigns, counseling and sensitisating the younger generation as well as the older ones, convincing them that Biate could only be clean if every resident accepted to act responsibly. These campaigns have proved most fruitful through the years. What makes Biate cleanliness drive remarkable is that there are no strictly enforced rules here. There are no legal penalties for smoking in public places, for urinating in the open and for littering. They just don’t do it. For Biate, that is the order of the day. And if any visitors threw rubbish in open places, the children would pick them up and throw them into the garbage bin. Such is their exemplary life. A little known town, yet endowed with clean air, clean water, clean food and clean living. Mother Nature has blessed them for their untiring efforts for they are breathing in the best air quality which is a rarity in today’s world. And all these can be attributed to their steadfastness and solidarity, which are necessary qualities to living a glimpse of heaven on earth. Perhaps, one day Biate will be known to the outside world for the good qualities that it has, and more so for being the cleanest town in Asia.